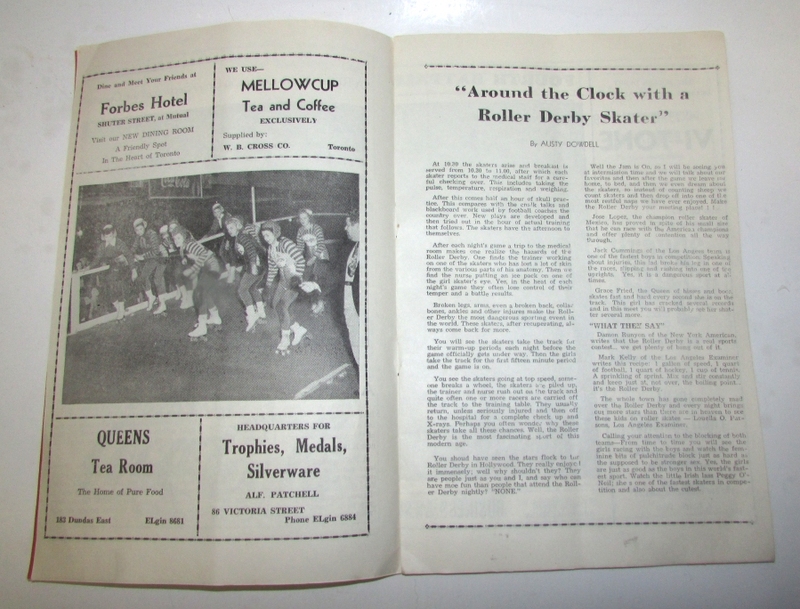 Souvenir Program Roller Derby 1940. Mutual Arena Toronto. Toronto: Lambert Printing Co., 1940. 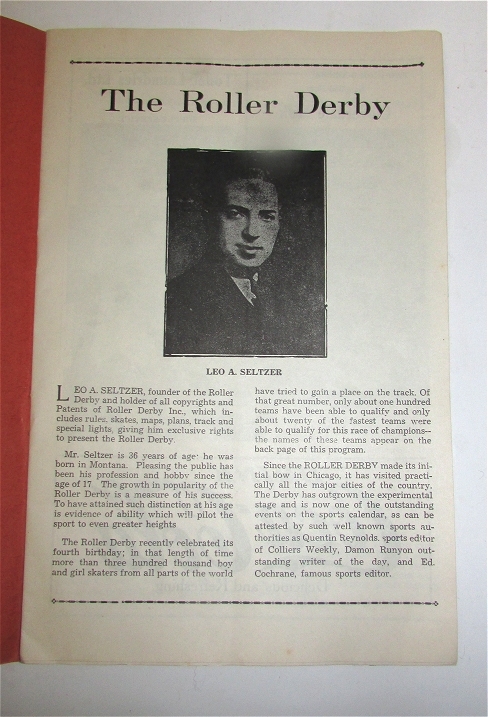 Tall 8vo., printed orange wrappers, (12)pp. ads. Illustrated. Very light creasing, else fine. 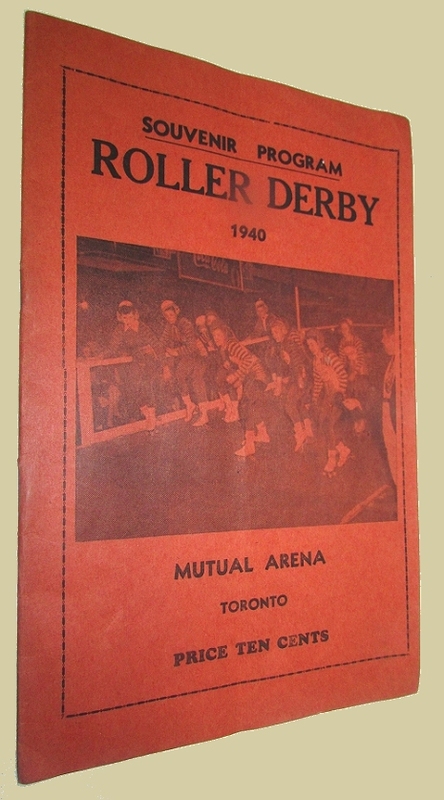 Containing articles, rules and regulations, ads for local businesses and major brands that would appeal to teens and young people; line-ups for the United States All Stars and Canadian Maples Leafs as well as scorecard (not filled in) on the lower wrapper.